MANILA—Following a devastating loss to San Miguel on Sunday night and another tough one to TNT the previous week, Magnolia is now faced with a daunting task of beating Rain Or Shine in a top-versus-bottom clash in the PBA Philippine Cup on Wednesday night. But Coach Chito Victolero hopes that the Hotshots will get back on the winning track with all the lessons they learned from their previous games. "Sana yung laro [noong Linggo] saka nakaraan, pagdating ng Wednesday game namin, makatulong yun para bumalik yung chemistry saka yung timing ng team," said Victolero. Magnolia just returned to play on Feb. 3, three weeks after the conference actually started. This is part of the "perks" given to the team which made the finals of the previous conference. 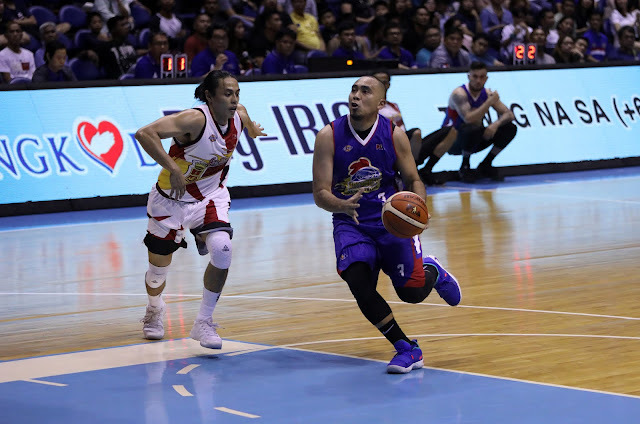 Alaska, the other Governors' Cup finalist, will also return to action for just the third time on Wednesday night, facing struggling Blackwater. This will be the final scheduled doubleheader before the PBA gives way to the all-important stint of Gilas Pilipinas in the sixth window of the FIBA World Cup Qualifiers.